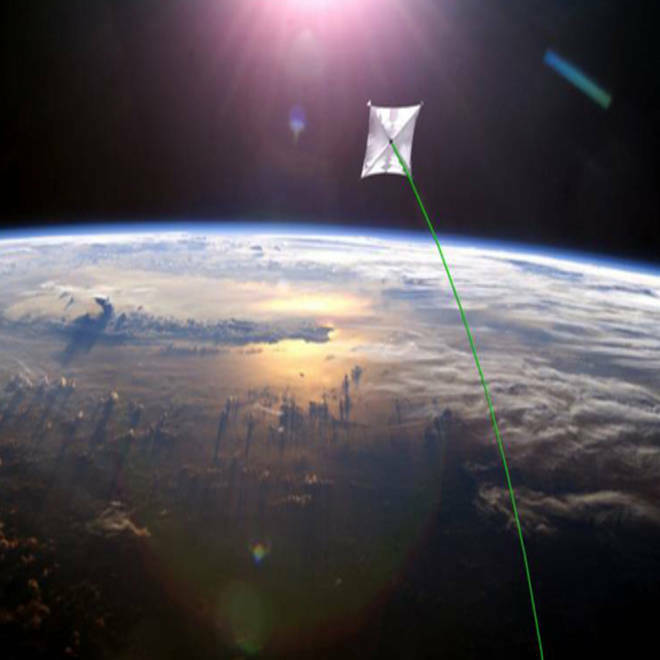 The Sunjammer project, slated to launch in 2014, will demonstrate "propellantless propulsion" offered by solar sails. 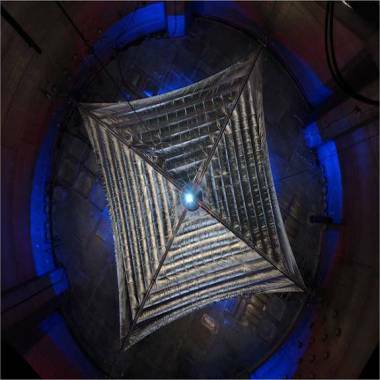 A huge solar sail designed to demonstrate the viability and value of propellant­­­-free propulsion is slated to blast into space in November 2014, mission officials say. NASA's Sunjammer spacecraft — whose 13,000-square-foot (1,208 square meters) sail will allow it to cruise through the heavens like a boat through the ocean — is scheduled to lift off atop a SpaceX Falcon 9 rocket from Florida's Cape Canaveral late next year. Sunjammer will likely separate from the Falcon 9 shortly after DSCOVR does. The spacecraft will then deploy its enormous sail, which measures 124 feet (38 m) on a side, and head toward a desired location about 1.8 million miles (3 million km) from Earth, pushed along by photons streaming from the sun. While Sunjammer will monitor space weather using several different instruments, the $27 million mission's primary goal is to help prove out and advance solar sail technology, which proponents say could power future missions cheaply and efficiently. An early prototype of L'Garde solar sail is evaluated in a vacuum chamber at the NASA Glenn Research Center's Plum Brook Facility in Sandusky, Ohio. This test article is a quarter the size of the sail the company plans to fly in 2014. "We're excited about seeing Sunjammer unfurl and successfully sail next year, providing the propellant for its own mission, as well as whole new space mission concepts of the future," Michael Gazarik, NASA associate administrator for space technology, said in a statement. Once proven out, solar sails could be affixed to a fleet of sun-studying spacecraft to provide a beefed-up space weather warning system, researchers say. Sails could also aid in the cost-effective removal of decommissioned satellites and other space junk, or allow craft to hover above Earth's high latitudes for communications and observation purposes. Engineers are also considering solar sails for deep-space propulsion. For example, a sail-equipped craft could conceivably travel to another star system in just a few centuries — as long as the sail is the size of Texas and a space-based laser shines a super-powerful beam on it as the vehicle recedes into the depths of space. NASA chose California-based L'Garde Inc. to build Sunjammer, which takes its name from a solar-sailing spaceship in an Arthur C. Clarke short story. Though the unfurled sail covers one-third of an acre (0.13 hectares), it packs down to the size of a dishwasher. It's made of a material called Kapton and weighs just 70 pounds (32 kilograms), NASA officials say. While Sunjammer will be the biggest solar sail ever deployed in space, it won't be the first. Japan's Ikaros probe unfurled a 46-foot-wide (14 m) sail in June 2010, becoming the first craft ever to cruise through space propelled only by sunlight. Five months later, NASA launched its NanoSail-D demonstrator craft, which sported a solar sail with a surface area of about 110 square feet (10 square m). NanoSail-D deployed its sail in January 2011, then zipped around the Earth for 240 days before burning up in the planet's atmosphere.